The euro continued its rally against the dollar as Germany, Europe's biggest economy, appeared ready to ease some concessions ahead of Chancellor Merkel's trip to Greece. This meant that the EUR/USD pair rose for the fourth day in a row, gaining 34 points to $1.3887, and is still on the offence at the time of writing. As Federal Reserve officials said that earlier projections for an interest rate rise have been overstated, the dollar was hurt as QE may be prolonged. The shared currency rose for the third straight session, closing 60 points up at $1.3855. A pickup in inflation expectations for the Eurozone came to the ECB's aid as they have already promised to use additional measures to provide price stability. 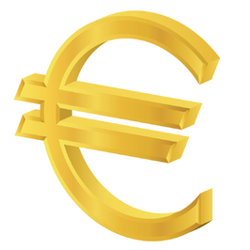 In reaction to that, the euro pushed higher versus the US dollar, closing 42 points higher at $1.3797 after a brief intraday trip above the $1.38 mark. ECB officials played down concerns over deflation in the Eurozone saying that such risks are for now contained, softening their tone on using QE. As a result, the shared currency enjoyed a rebound versus the dollar, recovering 42 points to $1.3741. Despite that, the outlook for the immediate-term remains negative. With Fed monetary policy set to stay on course with gradual tapering, we are still seeing speculation that Europe will easing policy to fight deflation risks. As a result, the shared currency continued its slump against the dollar, losing another 17 points to $1.3703 and this divergence in monetary policy could accentuate this in the short-term.